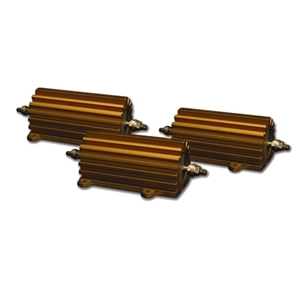 This set of Vishay-Dale's NH-250 series ±1% Tolerance, Non-Inductive, External Precision Power Resistors is intended for Valleylab Force2 Calibration Set. It contains 8 resistors of the following values: 1(50W)*, 50, 100, 200, 300, 1000, 3000, 4000 Ω.
Banana Jack Adapters (Red and Black) are available for an additional charge. NIST Traceable Calibration is available for an additional charge.